If you're looking for ways to add a little european flair to your home, fashion house, Dolce & Gabbana, and home appliance manufacturer, Smeg Australia, have what you need with their latest collaborative project, Silicy is my Love. 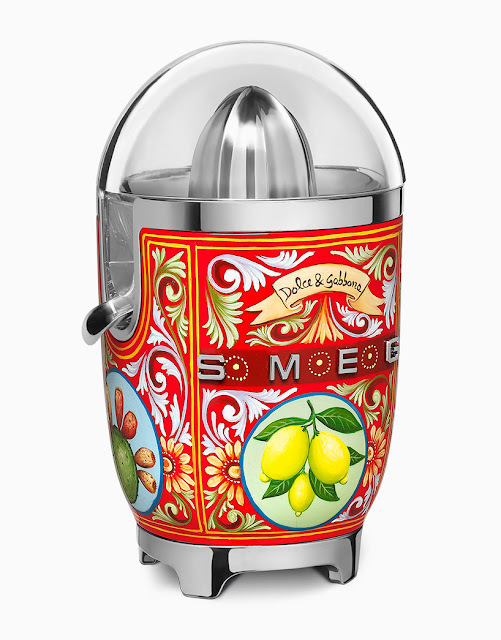 The two companies have brought together design talents from two completely different realms, fashion and home appliances, to offer a distinctive collection of Smeg's retro small kitchen appliances decorated with Dolce and Gabbana's signature style. 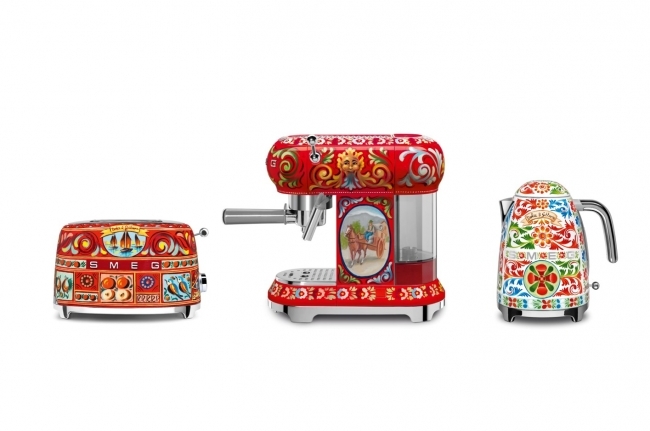 The vibrant collection includes toasters, kettles, blenders, stand mixers and coffee machines decorated with various symbols of Sicilian culture. 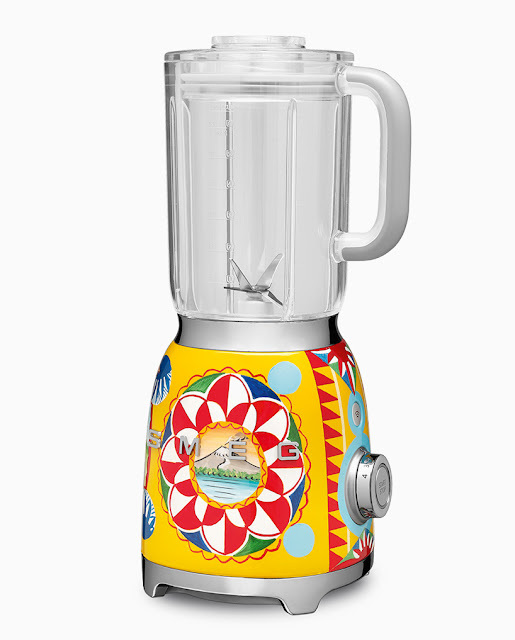 Patterns include various fruits, florals, famous landscapes, and the traditional trinacria (a symbol found on the Silician flag). The collection will be showcased at Milan's annual design show, Salone del Mobile, which runs april 4th-9th.